You know that I'm always looking for a new perfume brand. I came accross Commodity Goods from their instagram and I was so glad to find it in Singapore's Sephora! I was intrigued to try their scent and they also have a travel pack. 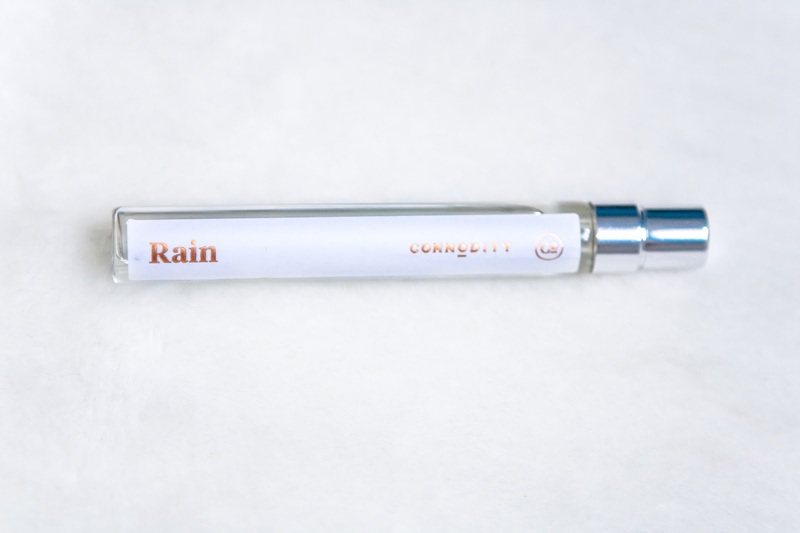 Without further ado, I took the Rain scent. The perfume reminds me of the soaked field in Bali after crisp rain. It is calming, fresh, clean, sophisticated, not over powering your outfit character, but gives enough kick to start the day. The perfume itself is considered in the fresh-chypre family with floral medley. I feel that it is suitable for both men and women. 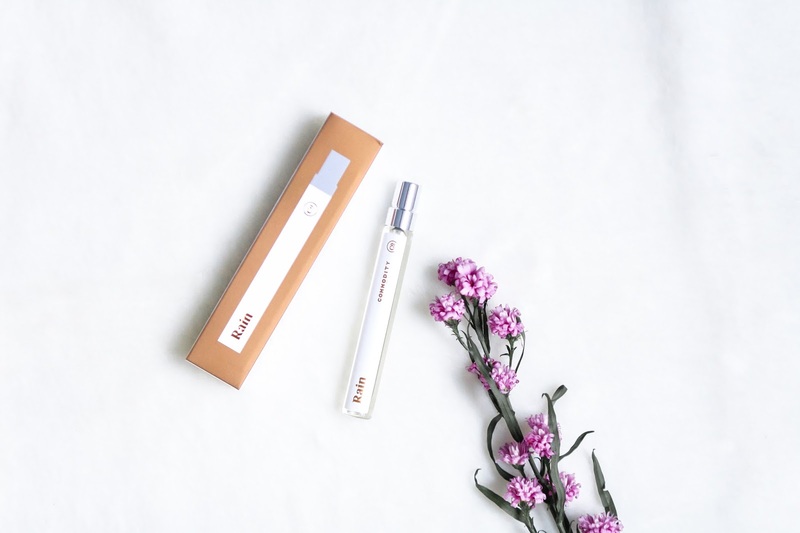 It is suitable for daily wear as the scent is light. Perfect for work or your weekend outing. For me the scent is light, minimalist, with a hint of floral. I always love musk based scent, but this one is not too powdery. 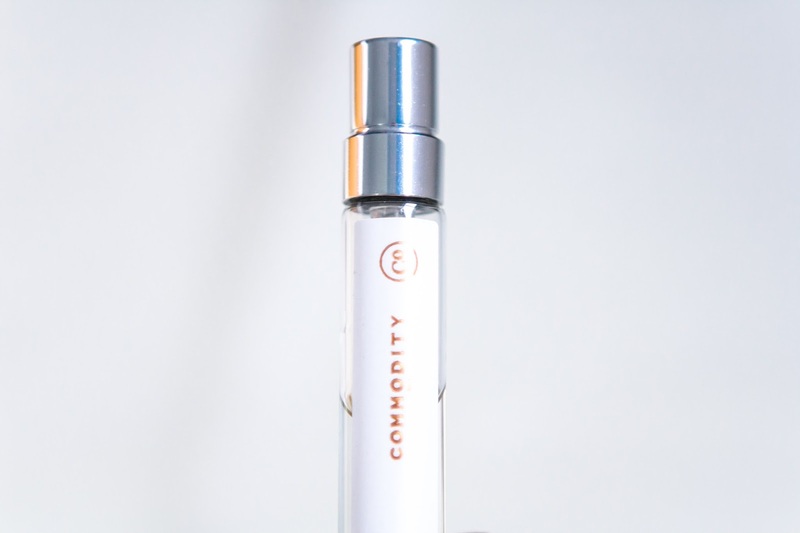 The fragrance is part of Commodity Goods' White Collection which is light, airy, and easy. Top notes: green accord, bergamot, lemon verbena, rain. Middle notes: jasmine, freesia, lotus. Base notes: white amber, water musk, sheer woods. Eventhough it is small, the perfume is Eau De Perfume (EDP) which means it has higher concentrate thus you only need a slight spritz. On daily wear for me it lasts for about 5 hours. The vial is made of glass with the spritzer on top. I love the rose gold accent on the packaging and on the brand against white colour. Very simple and minimalist. Have you ever tried the perfume? Any new perfume to reccommend? Let me know in the comment box below. wow such a good product honey! Really good post! It seems great, good post!!! This perfume sounds lovely! I've never heard of it before either, so thanks for sharing! Great post and yes I need to go an smell this scent in the flesh! I've actually never heard of this before but it sounds lovely! This is the first time I've heard of the brand. I really love the packaging because it is perfect for travelling and small makeup kits! I will surely watch out for them in case they'll be available in my country. Thanks for sharing! I loooove Commodity Goods- my faves are Moss and Paper! Heavenly! This perfume looks great! I'll have to check it out!